I have had people balk at the idea of paying someone to go out with for "training". I have looked at this myself and keep going back to other forms of recreation, hobbies and sidelines. Lots of people will pay for a day long Fly Fishing excursion to get the knowledge needed to allow them to go out on their own. The same is true of golfing, hunting, tennis, and the list goes on. Lots of people have the time to wait and find someone that may be willing to show them the various aspects of a particular interest. Many people do not have the time to wait and just want to get going. If you are interested in detecting for gold it is a good idea to get out and see if it is something that you would want to go forward with. I devote a whole chapter in my book about this subject, "Detecting and Prospecting for Gold, Are you up for it?". There is usually a cost associated with any interest that you may want to pursue and detecting for gold can be very expensive. It goes without saying that the rewards sometimes offset some of the cost. I have friends from all over the world that I have met while detecting for gold and this is a reward in itself. I have had many customers come back for a second day of training. I have been told over and over that I just put out too much information. I do not like to take any more than two people out on any one day and that is only if they know each other. I prefer one on one so I can meet the individual needs of that person. Because there are so many aspects of gold detecting I try and find out what the individual is interested in. Lots of people are stuck on one type of detecting and there are many forms of gold detecting. I generally encourage the person not to bring a detector as we will be in and out of my Jeep looking at formations and sites all day long. I will take you out and show you what a contact zone is and what to look for on your own. 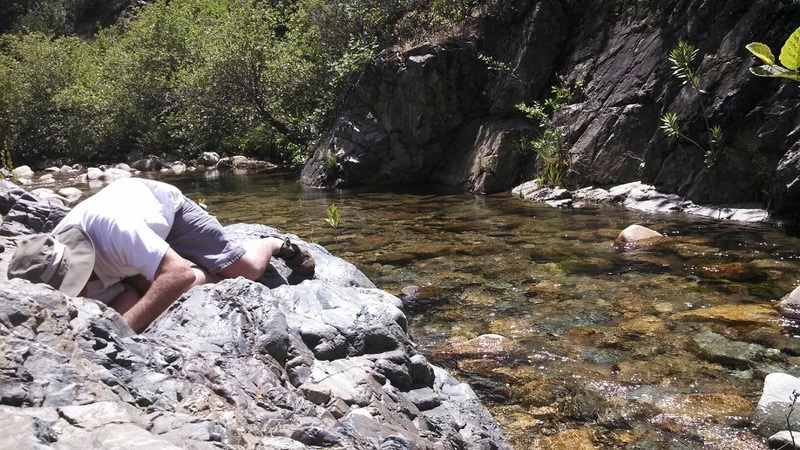 You will be shown recent channels and ancient channels of streams here in Shasta County. You will be shown how to break an area down and what to look for, is the material heavy or lightweight, would there be gold here or not, is the bedrock right for deposition? All day long you will see pocket formations and learn what indicators to watch for. You will become more aware of your surroundings and "one with the dirt". We will come across quartz outcroppings and pocket blows. My rates are comparable to several Gold Detecting Shops both online and off. Services are available on a limited basis and prices are subject to change. Please call ahead. A five hour day is $250.00 per person, each additional hour per person is $50.00. I do require a signed release of liability. The land that we train on is all public and we will not be on any claims. ﻿﻿﻿﻿﻿" I had all the gear and not much luck! After spending time with Ray as a mentor and teacher, I learned what to look for! My largest nugget to date - 3/4 oz ! Ray's expertise has been key to my success! " "I had been gold detecting for about 2 years, going to many remote areas that seemed promising. But I just wasn't having much success so I decided to contact Ray Mills. I had read many of his articles in the Prospecting and Mining Journal. Ray returned my email and set up a private outing within a week. He showed me the kind of area's to look for, the types of soil and places where he and his buddy's had gotten good gold. Thanks to Ray I get gold regularly and sometimes we hunt together. His knowledge and experience has helped me immensely." ﻿﻿"My recommendation for your future trainees is that they get a copy of your book BEFORE training. Study it, use it locally (where they live) and then come and see you for advanced training." 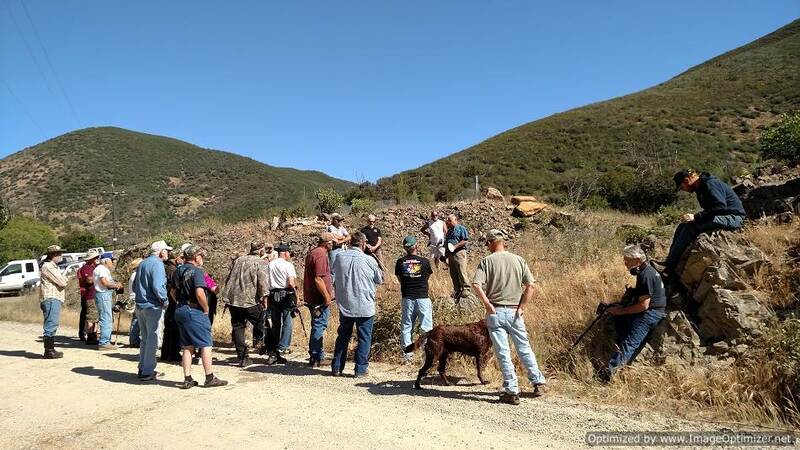 ﻿﻿"I had heard a lot about Ray Mills when I first started looking into metal detecting for gold in the Shasta/Trinity area. I was going detecting regularly and felt like something was missing. I had found a few pieces over weeks of prospecting but wasn't sure if I was doing it right. I recently found Ray’s website and set up an outing. He took me out for two days and I had a great time. We were able to do a little detecting as well as study some geology and history. He showed me some places to look at and what to look for in those places, and we even got a little gold. His help was invaluable and has been proven to me. My next five days out I was able to find seven small nuggets." ﻿﻿After taking up electronic prospecting my son and I found that we needed some help both in field geology and in good detecting method. We met Ray Mills (Trinityau) through a detector forum and have been very glad that we did. We retained Ray for two separate field days where we learned signs to look for when identifying key locations to detect. He gave us great instruction on two different detectors giving us new knowledge and confidence in hunting for nuggets. I have found Ray to be very knowledgeable and his experience to be a valuable resource. Thank you Ray. I look forward to seeing you in the field again. This is a picture of an area located in Northern Nevada that I came across many years ago. It is situated right next to the very large gold bearing area at Sawtooth Knob, Nevada. 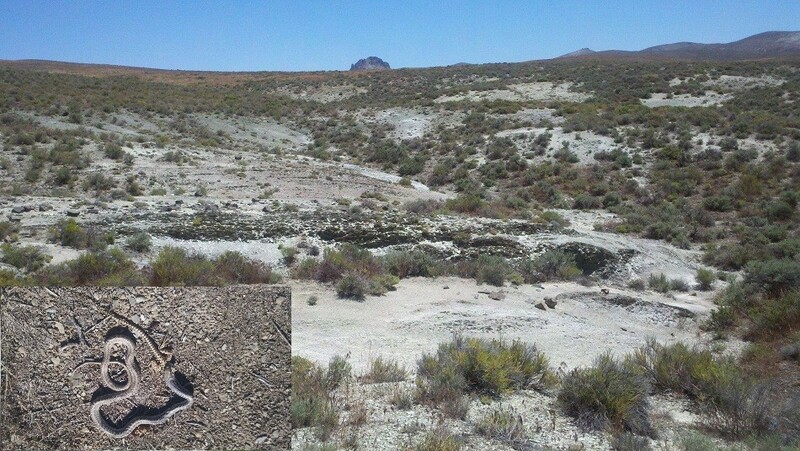 At first I thought it had been mined but after detecting the spot for many years I think it is just natural erosion. I found too much easy gold, small and large nuggets, for it to have ever been worked. I could be wrong, it may have been very, very rich originally and what I got was leftovers, but there sure were lots of nuggets all over.